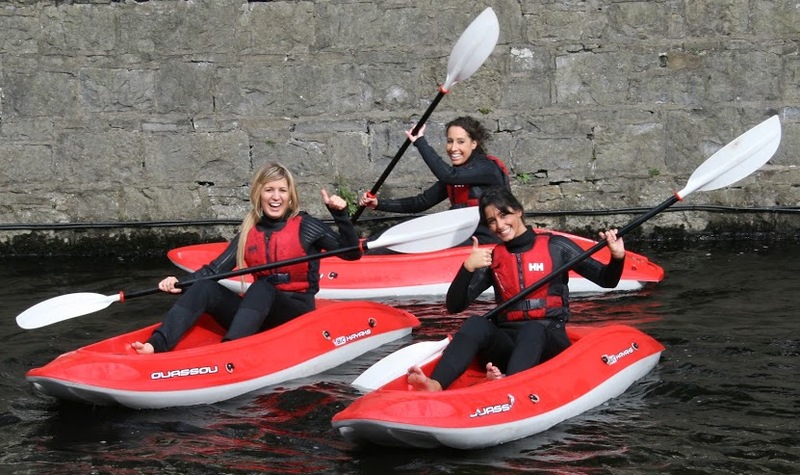 Kayaking is a sport for all ages and abilities and it is fast becoming one of the most popular adventure sports in Ireland. The Adventure Islands runs fun taster sessions on the tranquil waters of Westport Houselake which is ideal for beginners to learn new skills. They use a range of modern sit-on-top kayaks which are a great boat for beginners to learn on as they are very stable and easy to use. Along with the supervision of our qualified staff, you’ll be paddling around in no time. Don’t worry about a thing and let The Adventure Islands organize everything for you and your party. Come and experience the freedom and fun of kayaking and give the bride a party that she’ll remember forever.